There are some things a person is born to do. And so it is with Sarita and Life Coaching. As a child, the kids in the school yard used to come to her and ask advise on their personal life issues. Later, as a teenager, she realized she had issues of her own to work through, and went to India in search of personal transformation. She met her spiritual Master, Osho in Mumbai, and spent the next 17 years immersed in Meditation, Tantra, Love and Relating. She received much direct guidance from Osho on these subjects. 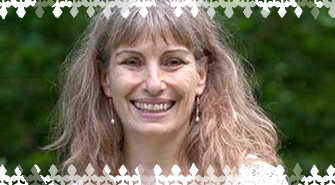 Sarita also trained for many years with several world renowned Masters of Holistic Healing. After Osho’s death in 1990, Sarita began offering transformation to others based upon her own deeply lived experience. Sarita travels the world, offering Tantra groups, Holistic Healing Training, as well as coaching and healing sessions. Because of her vast experience in personal development, people feel at ease to ask her about any life issue for which they seek personal answers, whether that be in the realm of sexuality, love, relating, health, nutrition, emotional release, or spiritual development and meditation. Sarita sets aside specific periods in the year for series of one on one sessions, and is also available for skype sessions. Due to her busy travel schedule, sessions need to be reserved in advance.